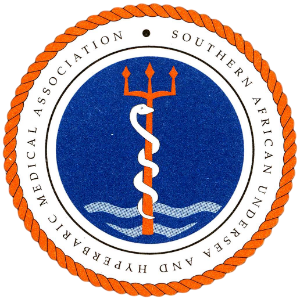 The TRICON2018 website is now fully functional and accepts registrations and abstracts for the 2nd Tricontinental Scientific Conference on Diving and Hyperbaric Medicine (Durban, SA, 23-29 September 2018). Make use of the favorable early registration rates, available until March 31st! 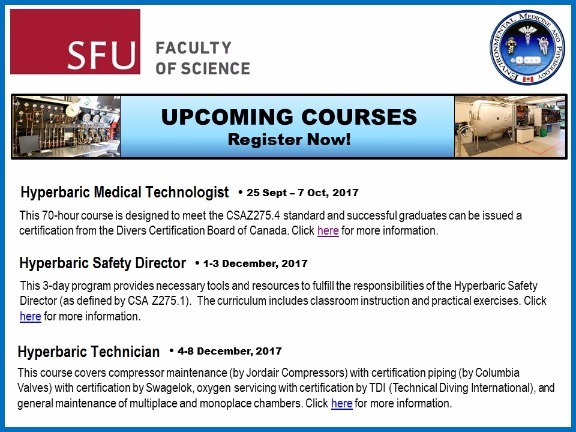 Please see the below training ​ opportunities, available in Canada, for qualification as Clinical Hyperbaric Technologist, Safety Director or Technician . The CHT course is unique as it offers a complete 2 week programme to train CHT students in a university program.